00-24. Militia detained 108 "Donbass" fighters under Ilovaisk. More than a hundred representatives of punitive battalion "Donbass" were captured by the self-defense under Ilovaisk. In their capture the members of the territorial battalion blame leadership of ATO. Now all soldiers are safe, militias have given them the necessary medical care, and provided with food. LifeNews correspondent was able to talk with several prisoners of war. One of them said that he spent in the battalion only 2 weeks, during this time his mother died in Lugansk in the shelling of Ukrainian Armed Forces. However, he was not allowed to withdraw from the territorial battalion. - A friend called and told me that it was either the mortar, or the shelling... I wanted to leave, wrote a cancelling statement, I was not allowed to leave, they sent me under Ilovajsk, - says Alexei. Almost all prisoners of war, who were able to talk to our correspondent, said that the ATO authorities and the leadership of the Battalion betrayed them by sending to almost certain death. - We were just left in the encirclement. Then we were trying to get out of it, fighting, were shot at. We had 300-350 people in total. Only a little more than a hundred left - tells about the circumstances of the capture Constantin. The "Donbass" battalion commander Semyon Semyonchenko has repeatedly accused the government of the country of not helping the soldiers in the south-east of Ukraine. He also blames officials in the failure of his battalion. He even organized rallies at the Poroshenko presidential administration and at the building of the General Staff in Kiev. At the same time Semyonchenko does not take part in combat operations of his battalion due to injury. 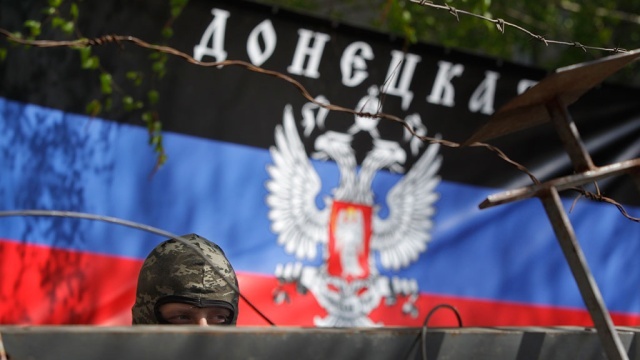 "AFU fired from Donetsk out of "Tochka- U". One rocket damaged mine" Kuibyshevskoye ", another one hit the waste heap in the area of "Azotny". According to the commander of the Semyonovka battalion of the DPR army with callsign Poet, Ukrainian troops were shelling, presumably, from the locality Mykolaivka. " 23-13. Artillery of Militia destroyed Ukrainian battery of "Grads" in the area of Schastye today. The record shows the security forces having managed to make just one volley, and then being covered with a powerful and precise retaliation. 22-51. 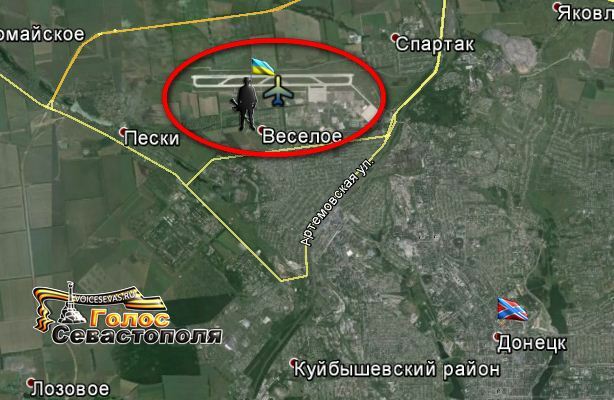 LPR militia took control of the Lugansk airport. According to correspondents of LifeNews, LPR army managed to take control of one of the most important points - Lugansk airport. Work of the air harbor has been suspended since May because of active hostilities around. During the military operations in the south-east of Ukraine the airport had moved for several times from the Ukrainian Armed Forces to the militia, and vice versa. In June, the forces of self-defense managed to block the air harbor, but any active storming of the building and the territory as a whole was out of the question. According to various estimates, from 500 to 2000 National Guard soldiers with weapons and armor had based on the territory of the airport. Correspondents of LifeNews are trying to figure out the details of the battle for the airport. According to preliminary data, the destruction of infrastructure in its territory is more than considerable. UPD 2: At the beginning of the third hour of the day, the Nazis had made the launch of three tactic missiles of TRC Tochka-U in the direction of Lugansk. UPD 3: 16:50 (GMT) there was a clash in the Sea of Azov, near Shirokino - two Ukrainian border boats tried to fire Novoazovsk, both enemy ships were destroyed by retaliatory fire, boats staff did not escape, the ships sank. To help the Ukrainian sailors two coast guard motor boats and one small boat moved up, one of them is armed with A-30, two others are armed with anti-tank machine guns respectively. Perhaps the militia attacked the third boat of the expelled enforcement by Ukrainian militarists. In the area the smoke observed. UPD 4: 17:50 (GMT) in the area of Kalinovka four explosions were heard. In the vicinity of the airport there was smoke, there's work continues. UPD 5: 18:30 (GMT) In Mariupol tense remains, it is very restless. UPD 6 20:25 (GMT) In Donetsk, between Abakumova and Skochinskogo st. there was tactical missiles (high-explosive layout) of RTC "Tochka-U" hit, the arena covered waste heap, in the air suspension of the air-slack. In the surrounding areas of the shock wave houses glazing damaged. Ukrainian patrol boat was hit by militia in the attack on Shirokino. Video filmed from the side of Bezimyannoye. Smoke could be seen in Mariupol. Militia inflicted first sea defeat to the enemy. 19-23. Gorlovka, 16.26 (GMT). shelling of the center with "Grad", about 5 missiles. The target - according to unconfirmed reports, the city police department. Rockets came from the western part of the city. Information on casualties or damage is unavailable. 19-01. Army DPR took Donetsk airport in circle. Cleaning up is going on. "Donetsk airport, judging by the fact it’s being pressed, will be cleaned up in the next 48 hours! Ukrainian soldiers’ only way to survive is to surrender." 16-04. The overview of the map of hostilities on August 31, 2014 12:00. 14-05. Captured video - happy Ukrainians go to kill. "Militia of LPR started the assault of Tsvetniye Peski in the night. Militia expects to take this settlement until the evening. In Lutugino there are fights. In Beloye militias began artillery preparation fire from Rodakovo. Militia has taken Volnukhino. " 10-20. Small trench, like those which covered railroad tracks near the village Zelyonoye under Ilovaisk where there were serious fights. 09-05. Humanitarian battalion "Novorossia" delivered aid to Hartsyzsk, as well as video of destruction was filmed and separately suggestions from simple people to Poroshenko were collected.